Spirit wear is here! 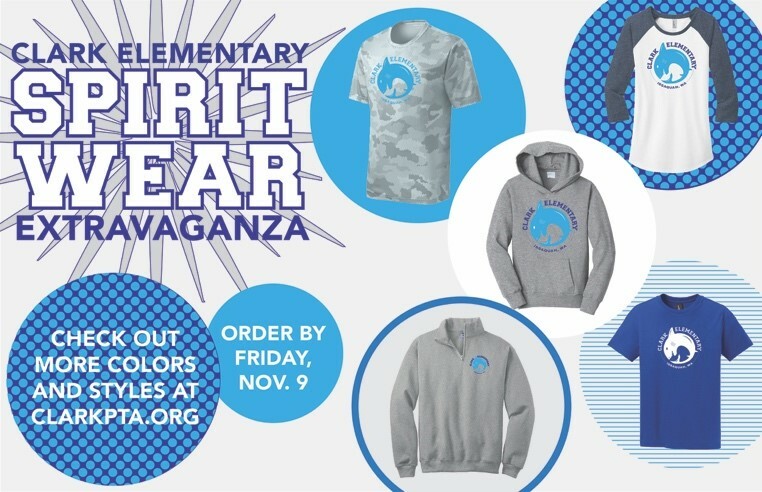 Orders are due by Friday, November 9th. Visit https://clark-elementary-pta.myshopify.com/collections/all to place your order.